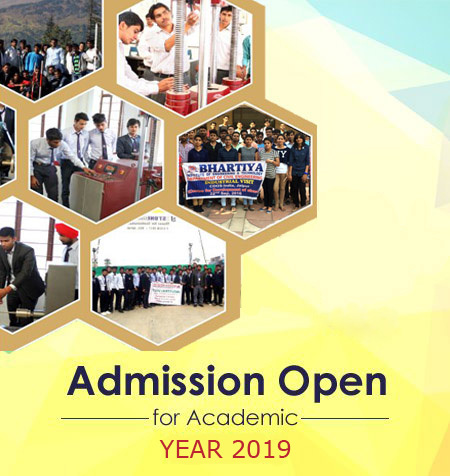 Mechanism and machine have considerable fascination for most student of Mechanical Engineering since theoretical principles involved have immediate application practical problem. The meaning of word ‘Machine’ given in oxford English dictionary is “an apparatus using or applying mechanical power, having several parts each with a definite function and together performing certain kinds of work”. This lab includes some attractive models of Oldham coupling, Crank and slotted link mechanism, Whitworth quick return mechanism, Watt mechanism, Scotch yoke mechanism, Pantograph mechanism, Crank and connected rod model are very helpful to study inversions of 4 Bar Mechanisms, Single and double Slider crank mechanisms. The models of Radial cam and cylindrical cams help to students to understand working of automatic machines. The students can also perform some basic experiments in this lab to find out coefficient of friction between two machine parts, and to find out the efficiency of load lifting machines. Motion of different types of followers can be studied in this lab by conducting the experiments on cam analysis machines. Thus, this lab enables the students to study the motion of different machine members without considering the forces. The Dynamics of machine lab have great significance in study of those machines where unbalance forces play critical role. This lab enables the students to deal with the problems of balancing and gyroscopic effects. To understand the effect of unbalance forces on machine and to reduce their effects, Dynamics of machine lab is equipped with some essential experimental set ups. The students can study about the methods of reducing the unbalance forces on static and dynamics balancing machine. Watt governor, Porter governor, Hartnell governor are installed in lab to study their performance, stability and sensitivity. Students can study the gyroscopic effect by conducting experiment on motorized gyroscope. Moment of inertia of connected rod by compound pendulum method, tri-flair suspension pendulum can be found out through experiments. Thus, both Kinematics of machines lab and Dynamics of machine lab are developed in such a way that students can understand the basic concept of machines in a logical, innovative and lucid manner. Thermal Engineering laboratory consists of a number of models of steam boilers, steam condensers, Steam turbines, Hydraulic Turbine, various boiler accessories and mountings. Besides this laboratory also consists Bomb calorimeter for finding the calorific value of a sample of fuel. Mechanical Engineering Department has different laboratories with state of art facilities. Fluid mechanics and Fluid machines labs have all new comprehensive experimental set ups catering to the requirements of curriculum and above that. The laboratories cater to the needs of mechanical students in the subject of fluid mechanics and fluid machines. It strengthens and broadens the students' knowledge of incompressible fluid mechanics. To provide hands-on experience with flows that are more complex, nonlinear, or unsteady than are typically studied in a lecture course. The laboratory is equipped with large number of equipments and experimental set ups to study the fundamentals and applied aspects of fluid mechanics and fluid machines. The setup comprise a verity of devices like venturimeter, orificemeter, rotameter, notches, technique for the estimation of minor and major losses in the pipes, verification of Bernoullie’s Theorem, impact of jet on vane, hydraulic ram, Pelton Turbine, Francis Turbine, Kaplan Turbine, Centrifugal Pump. In engineering practice, basic and applied research in thermodynamics and heat transfer is increasingly important today since these play a crucial role in the design of vehicles, power and process plants, cooking and heating devices and even IC chips, among other things. Performance enhancement of any such devices is a constant endeavor which can be achieved through the studies of heat transfer. Through the course of heat transfer lab, one can understand the basic concepts of heat transfer by conducting experiments practically. This course mainly throws light on understanding of three modes of heat transfer such as conduction, convection and radiation and heat transfer by phase change. It covers experiments such as determination of thermal conductivity of metal rod, heat transfer through composite wall, natural and forced convection heat transfer, transient heat conduction, heat transfer through fins under natural and forced convection conditions, determination of Stefan-Boltzman constant and emissivity of grey surfaces, boiling and condensation and performance test on vapour compression refrigerator and air conditioner. This lab has Mechatronics Training Kit consisting of Rotary table with sensors, Linear Conveyer system with sensor, PLC with ladder diagram software , DC servo motors-24 VDC 5/2 Sol-Sol valve, Pneumatics single acting cylinder, Mechatronic controller. Material science is the science where we study and investigate relationship between the properties of the materials to their atomic structure. Properties are very important in the process of designing the durable components / machines / structures etc. These properties include mechanical properties, thermal properties, electrical properties, optical properties or magnetic properties or deteriorative properties. All of these properties are decided by the atomic arrangement of the materials. In addition to structure and properties, two other important components are involved in the science and engineering of materials—namely, processing” and “performance”. With regard to the relationships of these four components, the structure of a material will depend on how it is processed. Furthermore, a material’s performance will be a function of its properties. BME Lab, as the name suggests, is intended towards laying the foundation of the mechanical engineering and at the same time providing the basic understanding of the working principle of simple machines. The lab consists of equipments and models to understand working principle of boilers, their mountings and accessories and simple machines. Strength, life, durability are the prominent words in the design field. A prominent little bit knowledge of design of machine components will be provided through experiments like vibration equipments. Continuous shaft system, governors, photo-elasticity experimental set up etc. importance is given for the overall aspects of cost life of equipments from the design points of view in the current lab. Production engineering is a professional practice of manufacturing technology with management science. The goal is to accomplish the manufacturing processes effectively and efficiently. The curriculum of Production engineering encompasses the contents with engineering materials, casting technology, machining technology,physical and mechanical joining processes, tool enigeering, metrology, manufacturing systems, automation and Rapid manufacturing .In a typical industry, once the design is realized, production engineering concepts regarding work-study, ergonomics, operation research, tooling, manufacturing management, materials management, production planning, transportaion etc., play important roles in efficient production processes. These deal with integrated design and efficient planning of the entire manufacturing system, which is becoming increasingly challenging with the emergence of sophisticated production methods and control systems. In Computer Aided Manufacturing Laboratory students have access to the latest software in computer-aided industrial drafting and computer numerically controlled programming devices. Through the use of this software, students gain knowledge and skills in the areas of orthographic projection, development and production of working drawings, as well as planning and developing computer-aided solid models for use in design and manufacturing of various products. The software’s used in the lab are very effective for learning process planning, tool selection, programming for CNC turning and milling. In the FEM lab students learn about the Finite Element Analysis package & stress analysis of the bars, trusses, beams & also about the thermal analysis & dynamic analysis of the beams using ANSYS Mechanical software.ANSYS Mechanical software offers a comprehensive product solution for structural (linear or nonlinear) and dynamics analysis. The product provides a complete set of elements behavior, material models and equation solvers for a wide range of engineering problems. In addition, ANSYS Mechanical offers thermal analysis coupled with physics involving acoustic, piezoelectric, thermo structural and thermoelectric analysis. Machine Shop is part of workshop where the ideas and concepts of student projects take physical form. Students can fabricate their projects using the shop equipment under the supervision of the faculty Incharge/instructors. But first, students must complete the Introduction to Machine Shop Operations course. The objective of this course is to provide students the knowledge to safely operate manual milling machines emphasizing basic machine shop operations. This course becomes an important foundation from which students can build their machining skills and knowledge.The Machine Shop is equipped with Centre Lathes, Drilling Machines, Shaping Machines and Milling Machine for preparing the models and gaining the practical exposure in operating the machines. Also, the machine shop is equipped with high quality cutting tools for the operations like Marking, Centre drilling, Facing, Taper turning, Grooving, knurling, Profile turning, Drilling, Boring, Thread cutting, Grinding, etc. The students are also trained in using inserts for cutting tool for machining purpose and Gear cutting operation. It also includes Foundry and Forging Lab .Foundry and Forging laboratory is one of the well equipped state of the art laboratories in the department. In this lab students learn to make products through metal casting and forging. The lab is furnished with 3 LPG operated smithy furnaces that provide smoke free environment. Preparation of moulds with and without using patterns is an integral part of this lab. The laboratory houses various sand testing equipment such as Universal sand testing machine, sand rammer, beam balance, permeability tester, sieve analyzer, clay content tester, moisture content testing machine, ovens, furnace.